The best way for both Iranians and non-Iranians to do that is to align with the Iranian resistance, so as to make it clear to the oppressed citizens of Iran that the world’s quarrel is not with Iran but with the mullahs who have subjugated Iran. 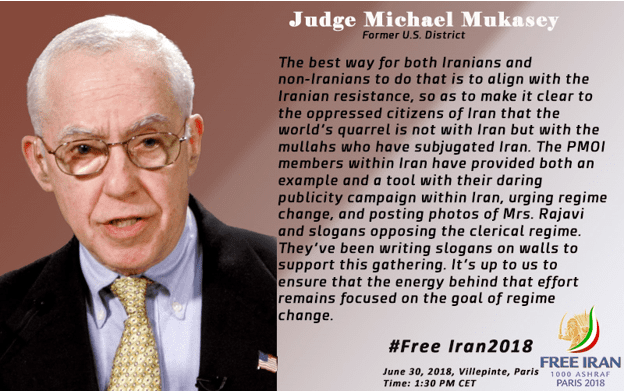 The PMOI members within Iran have provided both an example and a tool with their daring publicity campaign within Iran, urging regime change, and posting photos of Mrs. Rajavi and slogans opposing the clerical regime. They’ve been writing slogans on walls to support this gathering. It’s up to us to ensure that the energy behind that effort remains focused on the goal of regime change.